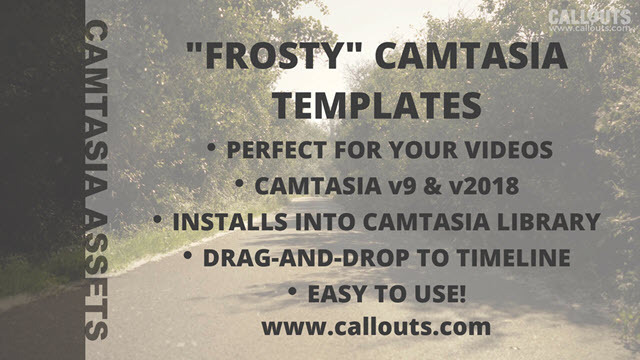 New Frosty Camtasia animated title templates. Can be used as titles, as slides in a presentation or even lower thirds. A clean simple but impactful style. The template collection includes 11 different templates. Six vertical and 5 horizontal templates in 5 different colors. Carefully timed sound effect is also included. Each template is made so that it can be used as a transition, with the transition point marked.